What are young people/students looking for in a room/apartment? Price:most students are interested in the price of the room or the apartment. This is not surprising since we all know that students usually do not have a lot of money and are therefore searching for something affordable. Locationis also very important as most students want to live somewhere close to the university at which they are studying and in the areas where there is always something going on. Since most students also do not own a car, is it equally important that the location of the apartment is well connected with public transport. Comfort andcleanliness: This is probably something everyone looking for an apartment is expecting. Students want to feel as comfortable as possible in the new home and also want certain level of cleanliness. The perfect ratio between quality and price:as mentioned above, price is very important for students when they are searching for a place to stay. However, they also want to find a good balance between the price they pay and what they get for it. Additional services offered: when students are moving it usually means they are going to live away from their parents for the first time. That means that washed laundry, cooked meals and clean room will not be taken for granted anymore. Many students therefore prefer the places where they can get similar services. What are some of the essential things students want in their apartments? Considering the prices students are willing to pay for an apartment/room it is really difficult to predict as this depends on the city and the country in which they live. However, most of them would still not pay more than 800€ per month. http://rethinkingcompetitions.com/wp-content/uploads/2016/11/sun-1284570-opt.jpg 2592 3872 Julia Molina http://rethinkingcompetitions.com/wp-content/uploads/2016/11/rethinking_new_logo.png Julia Molina2017-08-09 17:37:032017-08-09 17:37:03What are young people/students looking for in a room/apartment? Fast Wood Festival. Last days! 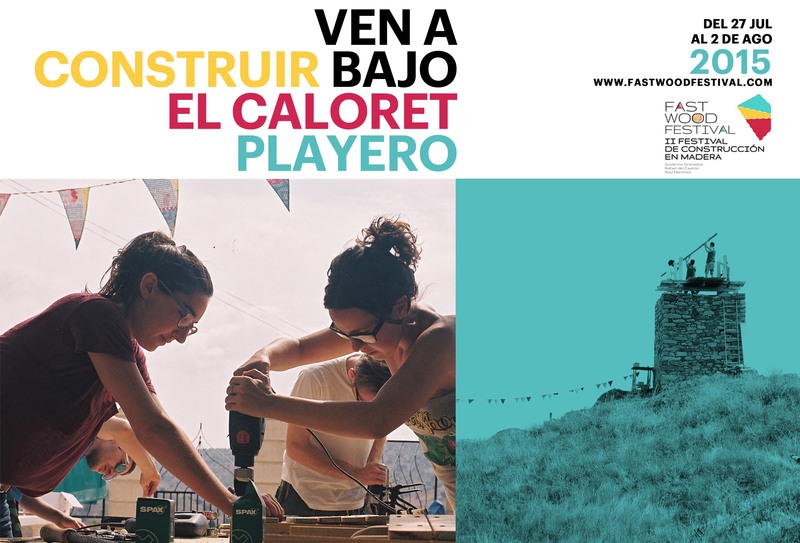 [EN] We recommend a festival of wooden construction that takes place in summer in Valencia: Fast Wood Festival. It is a construction workshop where learn to work wood in a summer environment. Through different activities, different scenarios where furniture and show how our art is made. Also we participate all together in a larger project. This year will be in Xeraco, Valencia, the beach, a floating wooden stage will be built. http://fastwoodfestival.com/ lasts seven days from July 27 to August 2 at a campsite and there are packs of 7, 5 and 2 days festival. For being users of our website, you will have a 5% discount on admission in writing RETHINKING enrollment in the last section “How did you know about us?”. Once you submit your entry, you will receive an email with your discount. http://rethinkingcompetitions.com/wp-content/uploads/2016/09/part22.jpg 2003 2953 David Moreno Rangel http://rethinkingcompetitions.com/wp-content/uploads/2016/11/rethinking_new_logo.png David Moreno Rangel2016-11-13 22:21:432016-11-13 22:21:43Fast Wood Festival. Last days!